The retail landscape has changed and gaining a competitive edge is extremely difficult for shops nowadays. With big product choice becoming universally expected and the market-ruling belief that prices must be low, there is little left to compete on. The problems are many: abandoned carts, crushing competition, customers who have become very fickle and unwilling to spend hours comparing and accordingly weighting product features. Solving these problems calls for a complete paradigm shift, and putting the shoppers’ needs back in the focus. To remain competitive, successful stores have to show people a simple path to follow, and provide them with more engaging ways to express what they’re looking for. Retailers should make constant attempts to see and address pain points or obstacles keeping customers from finding the products they need, quickly and conveniently. Research shows that 83% of online shoppers require some degree of customer support while making a purchase (eConsultancy). 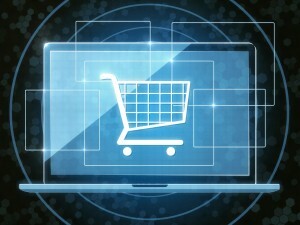 Online shoppers display a tendency to repeatedly purchase from the same stores as long as they like the experience. In spite of big competition, people usually stick to their favorite few stores. This is why becoming (and remaining) the #1 Point of Decision and offering exceptional customer experience has become so important. It requires not just broad assortment, but also sound product information, and on top of that, excellent product advice . Customers are ready to leave your store within seconds if they do not receive the adequate level of support. Helping people find the right products faster and at a smaller amount of clicks is the key to success. Product specs, for many shoppers, are just meaningless figures on paper. For years, various manufacturers have excessively focused on outdoing themselves in numbers. This approach, however, lacked communication of the practical advantages behind specs. Benefits behind the product have always been what most customers needed and actually cared about, not specifications. And by benefits, we mean what the product allows people to do, and how it effectively improves their lives. We’ve seen examples of good understanding of this approach in what Steve Jobs did for Apple years ago. The Cupertino giant realized the importance of product benefits for people as one of first companies in the tech industry. Jobs’ keynotes were always packed with interesting demonstrations of products, but never focused too much on numbers like screen resolution, connection speed, memory, etc. Instead, Apple’s late CEO would rather show you how many songs you can store on an iPhone. More along this line, instead of saying that a mobile internet connection has a speed of 12Mbps, Jobs would simply say the device allows to download a song in just 2 seconds. Guided Selling originated as a product discovery process that very closely replicates the interaction with human shop assistants. Like an experienced salesperson, the interactive product advisors will ask a few simple and need-oriented questions, and subsequently suggest products or services that best meet their needs or lifestyle, even for the most technically advanced products. And, sophisticated Guided Selling solutions never return zero results, preventing shopper frustration and stopping people from leaving the store empty-handed. This innovative way of product discovery appeals both to the novice and the expert. Guided Selling is a natural approach to shopping in the world of increasingly unintuitive online product discovery. We see some untapped potential in the area of customer experience. Modern product discovery is lacking in terms of inspiration and innovation. Although many online shops flaunt impressive product availability, they don’t offer a true differentiator: a unique, memorable experience and interactive product advice. This situation presents an opportunity that modern sellers should not miss. Shopping experience is the new product. Introducing Guided Selling gives your website a very personal, unique feel. Although financial reasons may still be important, people increasingly value comfort over the price factor alone. If you provide them with a memorable experience, they will stick with you for ages. Guided Selling is not just a fancy way to showcase your products. It holds some measurable benefits both for the shoppers and the customers, as we’ve seen on average 30-70% increase in CVR and 20% bigger sales in stores which integrated Guided Selling . Shoppers, on the other hand, are more happy with the products they buy, which can result in a 10% reduction in returns. To find out more about Guided Selling, meet us at Guided Selling Live! 2015. Martin Schliefnig is the founder and managing director at www.SMARTASSISTANT.com, provider of the first cloud-based, globally leading Guided Selling technology.